Heart Valve Voice is a collection of people with real experiences of heart valve disease, including a multi-disciplinary group of experts in the field (cardiologists, cardiac surgeons, GPs), cardiac patient societies and patients. Our aim is simple; we want to address the under-diagnosis and under-treatment of heart valve disease in the UK. Through raising awareness and improving understanding of the disease we hope to see real changes made to the process that patients go through. We also provide evidence based guidance to ensure patients receive the right treatment at the right time. Working with both patients and healthcare professionals, we strive for a more cohesive approach to heart valve disease. 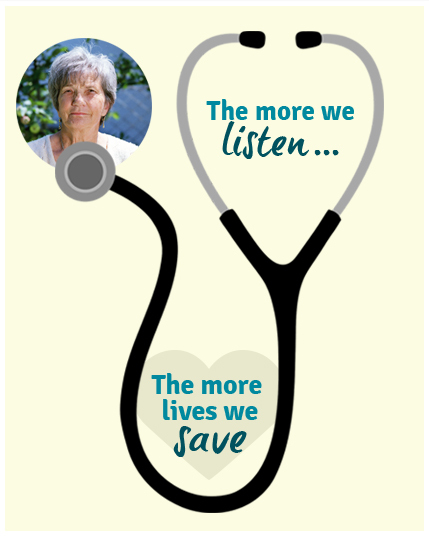 Since our formation in 2013, Heart Valve Voice has evolved into a patient lead initiative. We have created a patient action group and team of ambassadors throughout the UK so that our charity reflects the genuine concerns and opinions of patients. Heart Valve Voice aims to improve the diagnosis, treatment and management of heart valve disease by raising awareness of its severity and the need for timely detection to ensure all patients receive appropriate support and the right treatment at the right time. Visit this area to read a little about each member of the Heart valve voice team and what we do.